The Front Rack is made from 3/4 inch square tubing with 1/2 inch expandable wire mesh mig welded at every joint for strength. Wire Mesh is welded solid all the way around. No cutting or drilling needed. 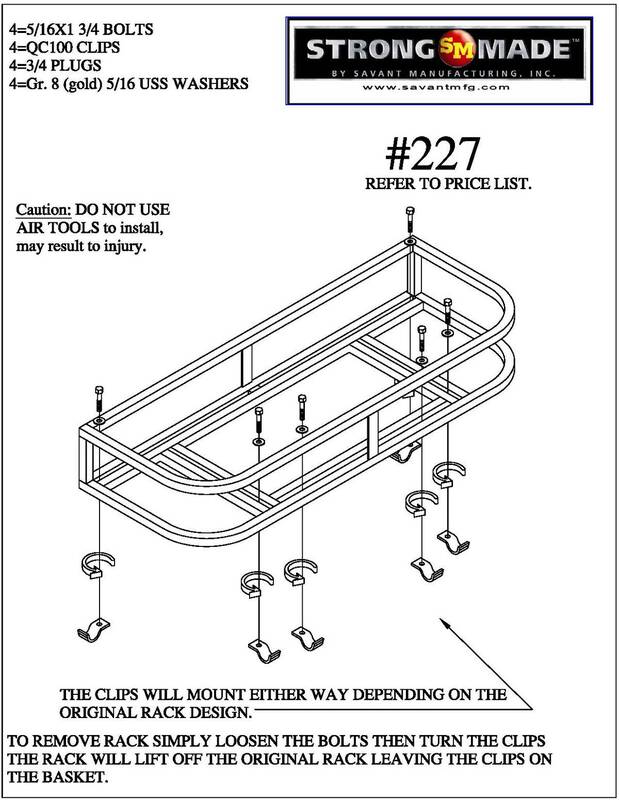 Get your socket wrench and pliers and you are ready to install the rack. Mounts on original racks only.